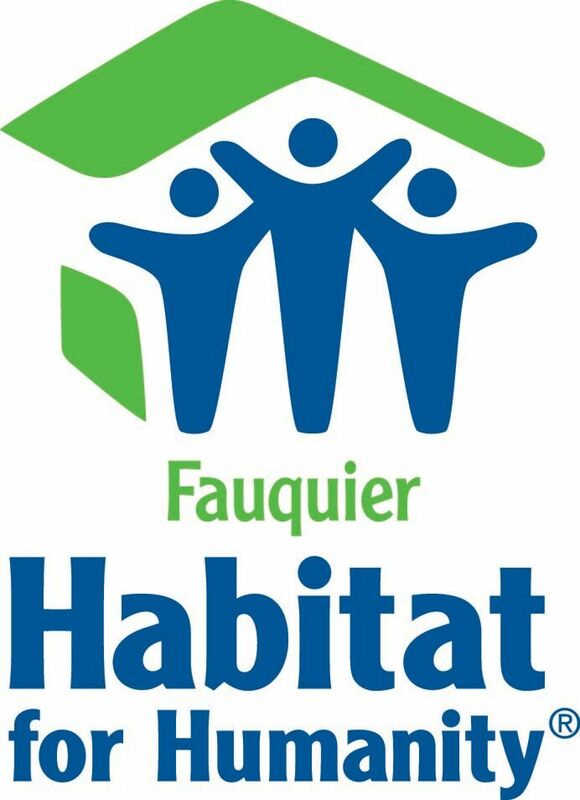 The staff at Fauquier Habitat For Humanity is a dedicated and passionate group composed of the following positions: the Executive Director, Neighborhood Revitalization Director, Office Administrator & Volunteer Coordinator and Construction Manager. Darryl joins Fauquier Habitat for Humanity in October 2018. Most recently serving as CEO and President of Habitat for Humanity of Monroe County in Bloomington, Indiana, Darryl brings to the position deeply developed skill sets, including leadership and communication skills, political and business acumen, training and teaching expertise, knowledge of land use and housing policy, and the ability to articulate and implement strategic vision. Having been involved with various nonprofit organizations for much of his life, Darryl first came into contact with Habitat for Humanity during a home-building event several years ago. But it was during his service on the Bloomington City Council that the issues of homelessness and affordable housing came to the forefront. While there, he made sheltering and housing affordability priorities in city policy and funding, including successfully securing multi-year funding for a struggling emergency homeless shelter. Mary has a wide-ranging background in community and economic development programs. With a deep personal commitment to engaging in work that helps strengthen communities, she spent her early career working in her hometown of Trenton, New Jersey in community mental health and substance abuse treatment with a focus in opioid addiction. She later transitioned her passion for the health of communities to state economic development and disaster recovery programs. She has spent the past two years in the D.C. Metro corporate sector as a Deputy Project Director, providing financial and administrative oversight for several Community and Planning Development grants from the U.S. Department of Housing and Urban Development focusing on homelessness, neighborhood stabilization and affordable housing programs, among others. Having recently relocated to Fauquier County, she is eager an excited to become an involved member of her new community. Chris has loved living in Warrenton since 2005, with her husband, and their two children. A New England native, born in Connecticut, grew up in New Hampshire, and attended college in Burlington, Vermont at Champlain College; who is proud to now call Fauquier County home. Chris has worked for Fauquier Habitat for Humanity since July 2017, as the Office Administrator and Volunteer Coordinator. In this position she cherishes her daily interactions with our amazing volunteers and Habitat homeowners. While she is away from the office, you may find Chris on the soccer fields cheering on her children’s teams. When she can escape the office and Mom duties she enjoys, skiing, hiking, sailing, canoeing, kayaking, paddle boarding, or swimming with her family. If you tell her to take a hike, she just might take you up on the offer, and invite you to go with her to the Shenandoah’s! Tony comes to us with more than 25 years of home building experience with 100 homes built in both Fauquier and Prince William counties as a Class A contractor. Tony is also a licensed real estate appraiser, a VA-certified home inspector and a member of the American Society of Home Inspectors. He is married to the chair of our Family Selection committee, Edda Berglund, and is very aware of Habitat’s philosophy of giving a hand up, not a hand out. Tony is also well aware of the need for affordable housing here in Fauquier County and is planning our future building projects. Work with our Construction Manager to carry out everything that's needed for new home builds, rehabilitation and repairs. Consider this an occasion to meet new people while strengthening your community by building safe, affordable housing. You’ll have the ability to improve the lives of people, work alongside future Habitat homeowners, learn different skills and share your skill. In fact, there are numerous benefits when it comes to volunteering. You don't need any experience. Bring your friends, family, co-workers and neighbors, the more the merrier! Make Habitat's mission possible! We need your help raising funds through ideas development, event planning and building relationships within our community. Implement unique ideas that support our mission and raise funds for all we need to keep the doors open and build communities. This committee establishes and maintains strong relationships with local congregations, enlists their support for projects and promotes Fauquier Habitat for Humanity’s mission. Activities include leading discussions of Habitat’s goals and activities and coordinating the participation of individual congregations. Work directly with families to ensure successful homeownership! Family Partnership keeps in touch with current and prospective homeowner families. The committee works to provide a mutual support system to facilitate the transition to home ownership, including educational opportunities in home ownership and maintenance, family finance and community resources. This is our most challenging and rewarding committee. Many of our committee members maintain close family-like relationships with their partners throughout their entire experience as Habitat homeowners. Help us find the next homeowner family! Activities include recruiting prospective families, screening applications, interviewing applicants and their references, visiting their current home and recommending applicants for approval. This committee oversees the finance and day-to-day function of the affiliate office. The Executive Director reports to the Board and to the Finance and Administration Committee. The members of the Finance and Administration Committee are responsible for the financial well-being of the organization. This committee is made up of Board Members. The Real Estate Committee has the responsibility for locating, evaluating and recommending property purchases. The committee works in close cooperation with the Building Committee to ensure the suitability of property prior to acquisition. Experience with land acquisition is helpful but not required. The Restore Steering Committee’s mission is to provide a supporting role to the ReStore Director. Proceeds from the ReStore support the building projects of Fauquier Habitat for Humanity. Women Build works to recruit, empower and train women to build simple, decent and affordable homes. Women Build worksites provides a unique opportunity to learn construction skills and to build leadership and teamwork skills. If you are not interested in building, that’s okay! We have many other needs that can be filled. Fauquier Habitat for Humanity’s Women Build invites you to make friends and memories that will last a lifetime while making a lasting change in our community.